Auction sales rates for residential properties appear to be continuing to hold steady as the market continues to gather steam as it starts to head into what is usually the busiest sales period of the year. Interest.co.nz monitored 223 auctions around the country in the week of 11-17 of February, and of those sales were achieved on 85, giving an overall clearance rate of 38%. The figures for Auckland, which dominates the auction market, were little different, with a sales clearance rate of 36%. However prices may be a bit softer in Auckland than elsewhere, with just 27% of the Auckland properties that sold selling for more than their rating valuations (RVs), where we were able to successfully match RVs with sale prices. This compares to 40% nationally, suggesting prices may be firmer outside Auckland. However those figures should be treated with some caution because different councils adopt their rating valuations at different times and they can be years apart, which can affect how well they match up with current selling prices. In Auckland Barfoot & Thompson is the biggest player by far and it marketed 120 residential properties for sale by auction last week, achieving sales on 33 of them, giving an overall clearance rate of 28% (see chart below). 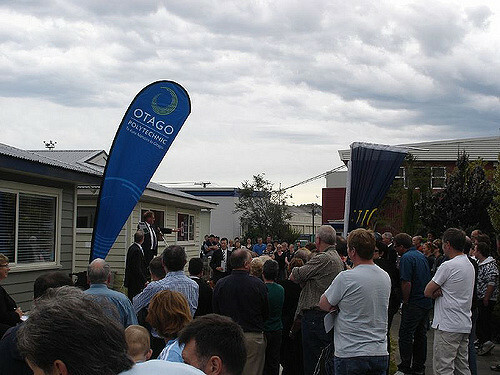 At Barfoot's major auctions where at least a dozen properties were offered, the sales rates ranged from 29% at the Manukau auction on February 12 and the Shortland Street auction on February 13, to 8% at the Shortland St auction on February 15, where the majority of properties offered were located in west Auckland.